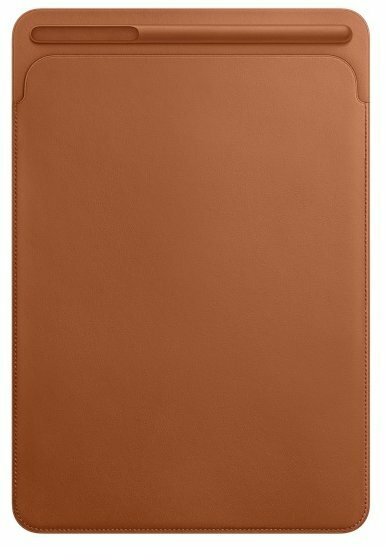 Apple Leather Sleeve Saddle Brown (MPU12) for iPad Pro 10.5". Купити на сайті. Доставка в Київ, Одеса, Харків, Дніпро та інші міста України. Apple Leather Sleeve (PRODUCT) Red (MR5L2) for iPad Pro 10.5"
Apple Leather Smart Cover Black (MPUD2) for iPad Pro 10.5"
Apple Leather Smart Cover (PRODUCT) Red (MR5G2) for iPad Pro 10.5"
Everki Bag Venue (EKS622) for iPad Pro 10.5"
Tucano Clutch bag One Premium Blue (BFOP11-B) for iPad Pro 10.5"
Apple Smart Folio White (MRX82) for iPad Pro 11"
Apple Smart Keyboard (MM2L2/MNKR2) for iPad Pro 9,7"
Everki Bag Venue Xl (EKS622XL) for iPad Pro 12.9"